One of the themes of today’s lecture was the role of technology in media jobs and the importance of students having technology skills to be competitive in today’s media job market. 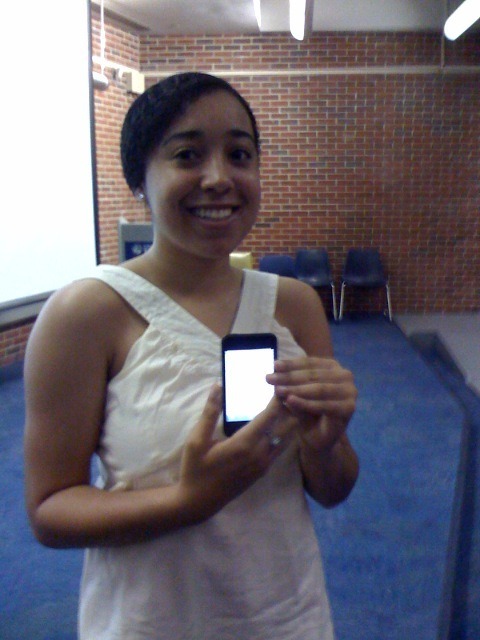 Before class, Megan and I talked about how she’s using her new iTouch — mainly for music and movies. I asked her if she’d read the news on her iTouch. No, she said, but I could tell she was interested in giving it a try. In less than five minutes, we had the New York Times on her iTouch. We’re in a wireless auditorium, but she had to log on to the UF server to access the wireless. The type was a little small. I showed her a new trick I’ve learned — two quick taps on the screen makes the text enlarge with the newspaper column filling the screen width. We shared her new reading approach with the class. It was kind of a “wow” moment and helped make the point about the potential technology has for changing how we are media consumers.